When four couples, including Annie (Melanie Lynskey) and her fiancé Matt (Jason Ritter), Jessie (Clea DuVall) and her partner Sarah (Natasha Lyonne), and Jack (Ben Schwartz) and his much younger girlfriend Laura (Alia Shawkat), stay together at an old family estate house, things become awkward when it’s revealed that Annie intends the trip to be a marriage intervention for bickering spouses Ruby (Cobie Smulders) and Peter (Vincent Piazza), whose relationship is in trouble. But through trying to interfere with other people’s lives, Annie ends up forced to confront her own issues including excessive drinking, inadvertently causing various other secrets to be revealed, as the four couples end up fighting and bringing unresolved tensions to the forefront. Although The Intervention is a pretty typical indie dramedy, that follows a path already laid clear by The Big Chill and more recently About Alex, which also starred Jason Ritter, the film still manages to be fairly entertaining on its own derivative terms. 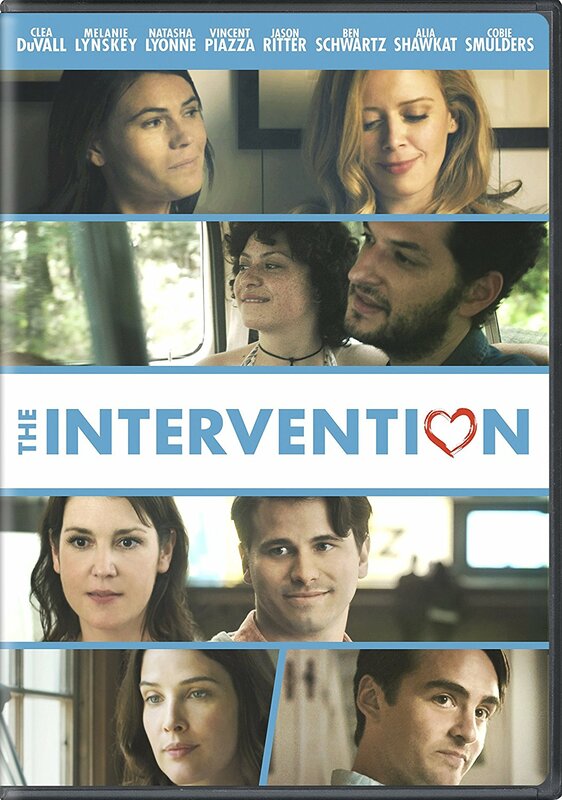 Written and directed by Clea DuVall, who also co-stars, The Intervention boasts solid performances from its likeable cast and has enough enjoyable moments sprinkled throughout to make it mildly worth a look. Melanie Lynsky is a particular standout of the ensemble cast, capably handling the biggest character arc of the film. The Intervention is a Paramount Home Media Distribution release. It’s 88 minutes and rated 14A.